Carpet cleaning is a serious task for a family to carry out alone. They can use standard cleaning products and wash the item but unfortunately this might damage the fabric or leave a white film because of the detergent they used. Here at our carpet cleaning company we strongly advise you to leave cleaning to us. We know best what supplies are appropriate for carpets and how a carpet should be treated depending on the fabric it is made of so that its colours are bright and the fibres soft and smooth. We know how to protect your investment and we guarantee 100% satisfaction on your part. Working with us will be a walk in the park. We will do everything while you can sit peacefully or deal with your duties and responsibilities. We promise to be fast. No, we don’t plan to move in. We will take as much time as we need to clean your possessions but we promise it won’t take that much time. Moreover, we will clean your carpet right where it is in your living room or in your bedroom. That’s right. You don’t have to do anything at all. We will visit your place (and we’ll be on time) bringing all the equipment we need and then we will proceed to cleaning. You don’t even have to be there. Our amazing crews of technicians will do a great job on your investment. As a result your carpets will be fresh and shiny. They will smell wonderfully. What’s more, they will dry much faster than if you wash them using water. Our cleaning sessions don’t use chemicals, which is some great news for everybody who is concerned about their health. Your children will not be exposed to harsh chemicals that have so many bad effects on human beings and nature. 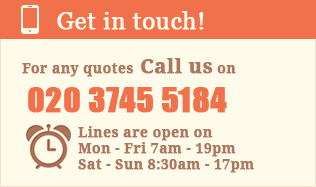 If you need a carpet cleaning service and you live in London, then you ought to give us a try. You’ve got nothing to lose.